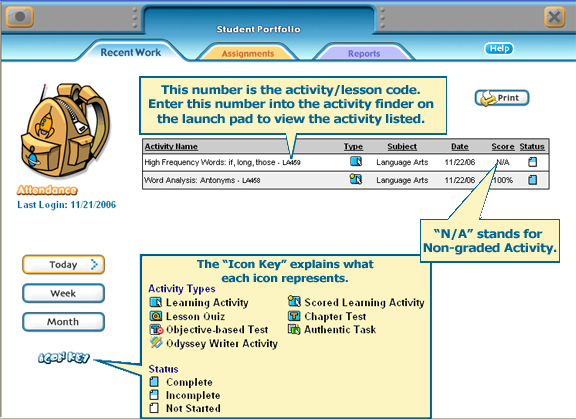 Most parents are eager for feedback on their child’s progress. 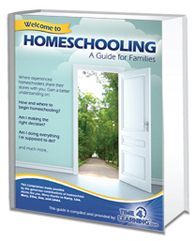 Some homeschool parents need reports for state reporting and portfolios. 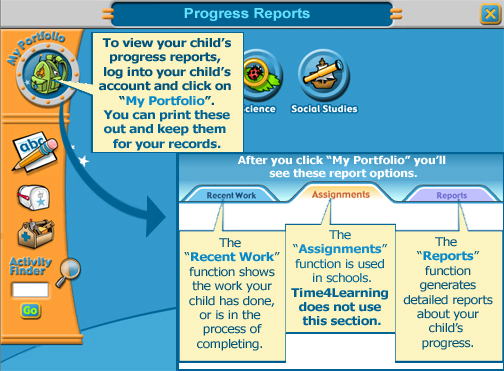 Time4Learning provides an online video of how to access your child’s Portfolio Reports. There are other helpful hints available as well on the Time4Learning Hints & Help page. 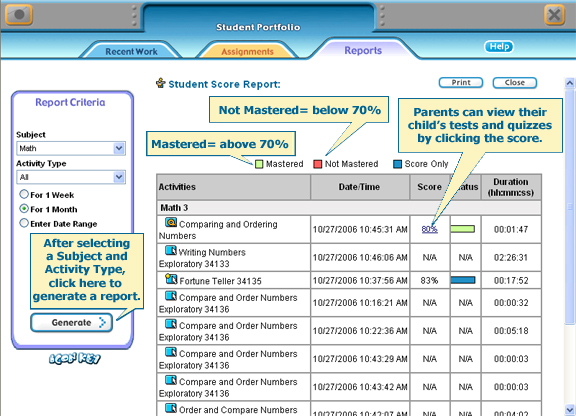 To view your child’s reports, log into your child’s account. Then, click on the backpack in the upper left corner labeled “My Portfolio”.